On Tuesday, Los Angeles City Council President Herb Wesson announced a motion to rename a street in southwest L.A. after former president Barack Obama. 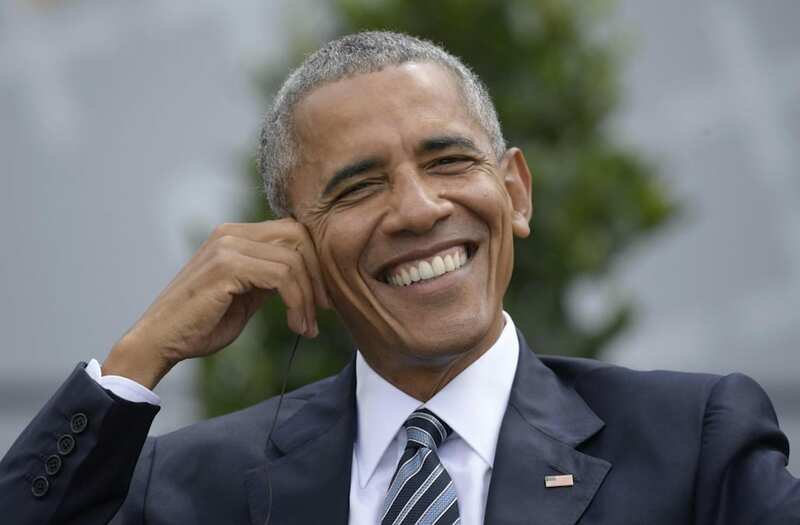 The proposed Obama Boulevard would be located on the street currently known as Rodeo Road — not to be confused with swanky Rodeo Drive in Beverly Hills — which runs from the eastern edge of Culver City to Leimert Park in Mid-City. Wesson noted that the road, which is located in his district, is close to three streets named after the first three U.S. presidents — Washington, Adams and Jefferson. The street is also home to Rancho Cienega Park, where Obama held one of his earliest rallies during his 2008 presidential campaign. Los Angeles became a regular stop for Obama during his presidency, arriving for appearances on late-night talk shows and fundraising events. The heavy traffic his arrival sparked was often dubbed Obamageddon, clogging L.A.'s already busy streets. Last month, the California State Senate approved a motion to name a portion of the 134 Freeway in Los Angeles after Obama. The section runs through Eagle Rock, where Obama's alma mater, Occidental College, is located. Wesson's proposal will require the approval of both the city council and L.A. Mayor Eric Garcetti to make the street name change official.